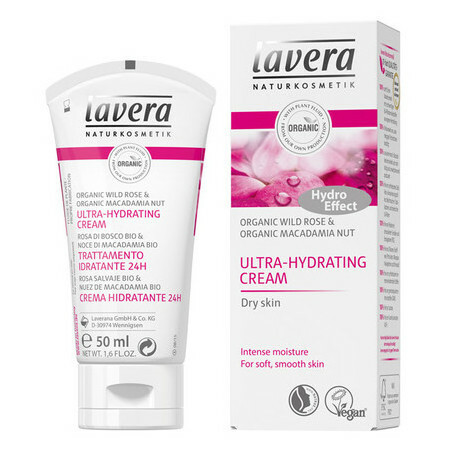 This Ultra-Hydrating daily face cream from Lavera uses beautiful Organic Wild Rose and Macadamia Nut oil to provide 24 hour moisture*, plumping the skin to reduce the appearance of fine lines. Ideal for those with dry skin and suitable for those with skin sensitivities. The Wild Rose is hand harvested and the seeds are cold pressed retaining the natural Vitamins A and E. This oil is extremely rich in alpha-linolenic acid (approx. 33%*) known for its healing and regenerating effect. 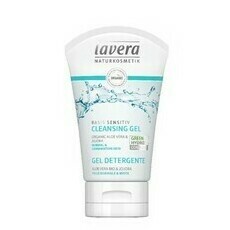 It works to promote collagen production in the connective tissue helping to restore moisture. 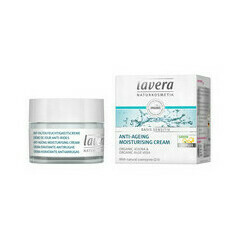 This beautiful cream is easily absorbed and also provides an excellent treatment for dry and scaly skin, pigmentation marks and scars. 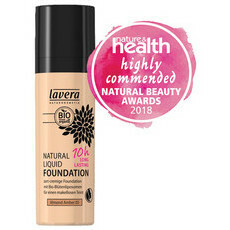 Made in Germany, Certified Natural by NATRUE which includes No Animal testing and no GMO. Contains Certified Organic ingredients, Gluten-free, Certified Vegan, eco-friendly & sustainably produced. *Lavera Germany. Effectiveness confirmed by an independent institute. Almond Oil, Cacao, Jojoba Oil, Shea Butter. After cleansing, apply a small amount to your face and neck. Lovely product. Will try more of the range now.